The Quantum Thief, by Hannu Rajaniemi. SF. Also, two of my pre-orders mentioned in the last roundup post came in, yay! Looking forward to reading Witchmark and Trail of Lightning! 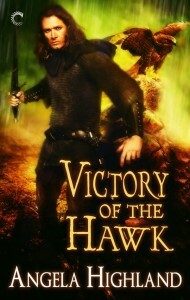 But meanwhile, I also nabbed all three of Tanya Huff’s Peacekeeper trilogy from Kobo, now that Book 3 has dropped. This is of course military SF and I grabbed ’em on general “Because Tanya Huff needs more of my money” principles, and because I’ve liked the Torin Kerr books that came before these. These books are An Ancient Peace, A Peace Divided, and The Privilege of Peace. 42 for the year (I’ve already counted Trail of Lightning and Witchmark). And now: the February 2018 ebook roundup! This might wind up being my last one involving Barnes and Noble, after news this week that they’ve instituted some brutal layoffs. The Digital Reader talks about this story here, and there’s a similar and more in-depth post on tumblr here. It’s very telling that the only ebooks I’ve bought from B&N in the last couple years have been due to ebook settlement credit or gift cards to spend. Most of the B&N purchases in this post were because I got my yearly VISA gift card from work. And I blew half of that on a B&N card because Kobo doesn’t sell gift cards here in the States, or at least not anywhere I’m likely to shop. A few of these are ebook rebuys, for things I’d already bought on the iBooks store but which I wanted in a more accessible form. And getting B&N books into my master library in Calibre is slightly less irritating than doing iBooks. Under the Empyrean Sky, Blightborn, and The Harvest, by Chuck Wendig. This is a YA dystopian trilogy by Wendig, and I got ’em all because they were on sale for 99 cents each. Shrill: Notes from a Loud Woman, by Lindy West. I don’t normally read non-fiction, but this came recommended to me. And since Dara and I got to see Lindy West as the Not My Job guest at the Wait Wait Don’t Tell Me show in Seattle this past December, where she was quite awesome, I went ahead and picked this up. Artemis Fowl, by Eoin Colfer. This must have gotten recommended to me at some point? It’s a middle grade series about a twelve-year-old criminal mastermind, with fairies involved, and probably other supernatural hijinx as well. It seems like fun along the lines of Phineas and Ferb. We’ll see! Rebels and Lovers, by Linnea Sinclair. SFR. The Hobbit, which of course needs no introduction. This ebook edition is the special enhanced version that has additional art and audio embedded in it. Semiosis, by Sue Burke. SF. This one has been getting talked up a lot on Tor.com and I thought it sounded intriguing, so I snapped it up. Liz Bourke reviews it for Tor.com here. 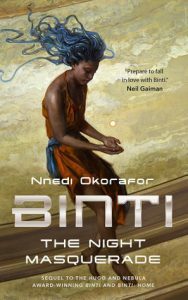 Binti: The Night Masquerade, by Nnedi Okorafor. SF. The final book of Okorafor’s Binti series, which so far I have enjoyed quite a bit. It Devours!, by Joseph Fink and Jeffrey Cranor. The second Night Vale novel! Autonomous, by Annalee Newitz. SF. Another book I’ve seen talked up on Tor.com in the last several months, and which I’ve picked up out of interest in the samples and reviews I’ve read there. Notably, this review by Brit Mandelo. Wind From a Foreign Sky, by Katya Reimann. Fantasy. This is an ebook rebuy of a book I meant to read a very long time ago. The Fifth Season, by N.K. Jemisin. Fantasy. I’ve received multiple recommendations for this. And on general grounds of “this won a Hugo” and “why yes I do want to read more things by women and by WoC in particular”, this clearly needs to be in my library. I do also have one more book to mention, which I didn’t pick up from a bookstore. This is Capricious: The Gender Diverse Pronouns Issue, a special issue of the magazine called Capricious. I supported their Indiegogo to do this special issue, and received it in both ebook and print form.